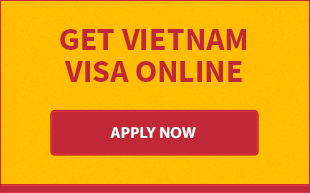 Vietnam has them all: hot springs, mineral spring and mud-bath sites all across the country. Mud-bathing is not something new in Vietnam. 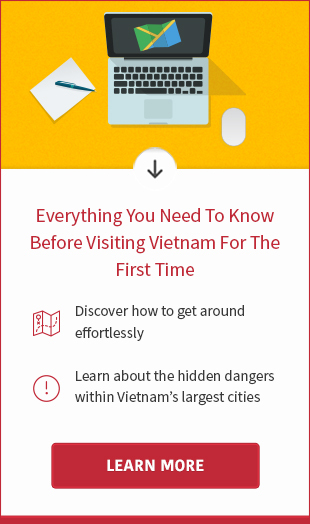 In fact, many tourist sites have developing this kind of service at Central and South of Vietnam. Mud-bathing in Vietnam is not only an effective therapy but also very entertaining. First and foremost: the medicinal benefits of mud-bathing. It removes dead skin cells, detoxifies, deposits minerals into your body, strengthens bones, reduces fatigue, smoothen your skin and many other good things. 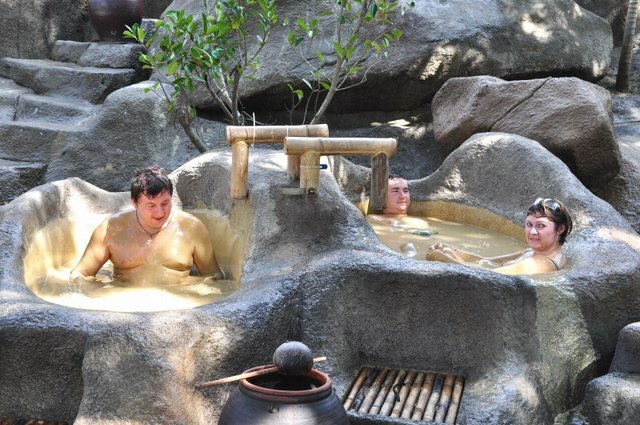 Secondly, mud-bathing is relaxing and fun, too, especially in a country hot and humid like Vietnam. The bath settings often set with vivid colors and fun features. If you go with family and friends, mud-bath is definitely something you can spend time with and enjoy together. If you go alone and prefer privacy, you can have the whole bath for yourself. Besides stunning coasts, wonderful bays and islands, Nha Trang has the most developed mud-bath facilities in the country and also the most well-known. The hot mineral spring and the mud mineral spring were discovered back to 1994. 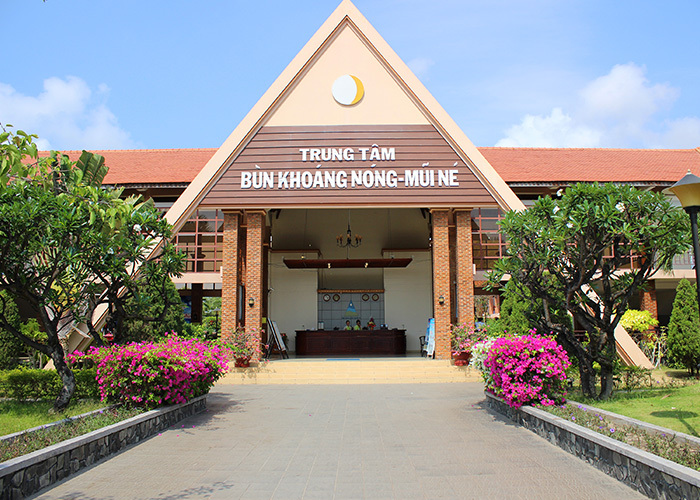 In 1999, Thap Ba Spa & Bun Khoang was opened as the earliest mud-bath service in Vietnam. 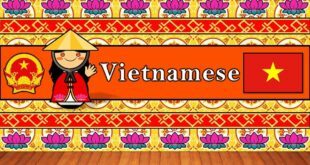 The place is about 6 kilometers from Nha Trang downtown. The mud is heated at 37-38 Celsius degrees – most effective temperature. Thap Ba Hot Spring is cheap and most popular which means sometimes it’s filled with too many people. Time for mud bath is 15 minutes for collective tubs and 20 minutes for private tubs. 100 Egg Mud spa and park is about six kilometers southwest of Nha Trang. city. It’s really fascinating that everything here is inspired by eggs from the bath tubs to decorations. Mud-soaking time is 25 minutes. 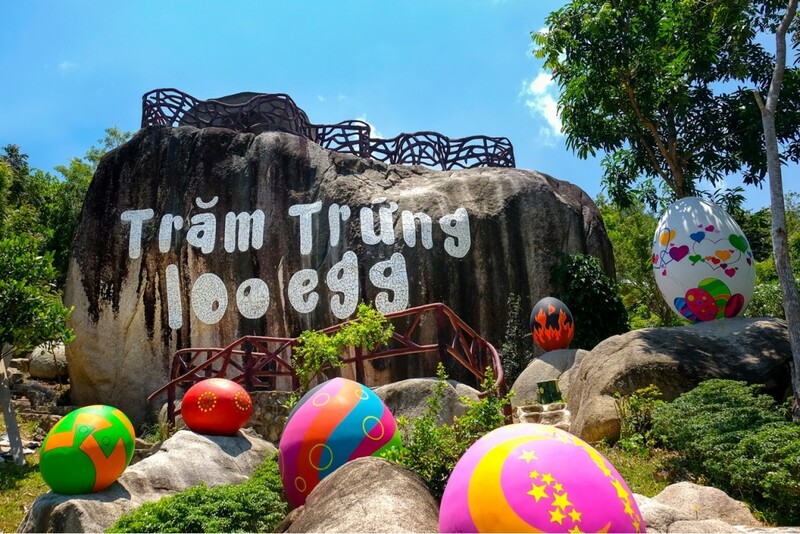 The egg-shaped tubs are placed among the trees and flowers to improve your experience. There are free lockers, change rooms and showers. You will have to pay for towers or swimsuits. This is the perfect service for families and friends. The pools sizes can be diverse, usually from 4 to 8 people. Mud-soaking time is 25 minutes, free showers, chairs, locker room but charged for towers and swimsuits. i-Resort has quality mud-bath services with very good facilities. The prices are not cheap, though. Located right beside My Khe beach, this place is a wonderful place to spend your time and enjoy the nature. There are 23 large mud-bathing outdoor pools and 12 indoor pools in total, placed among trees, lawns and flowers making the whole area like an oasis. All pools are for collective bath, you can have the whole pool for yourself but of course the price is higher. 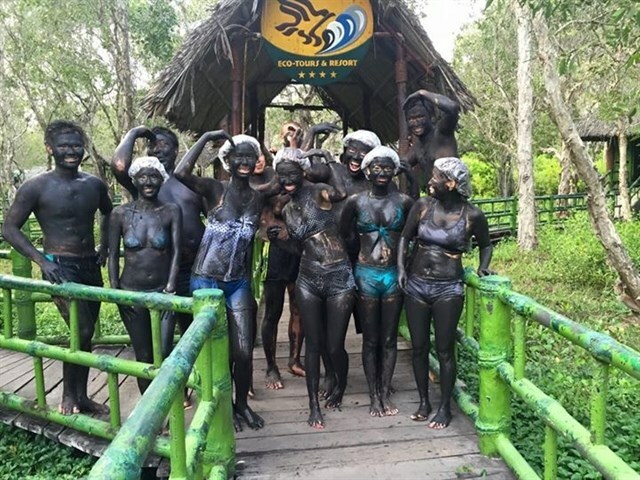 Phuoc Nhon Mud Bath is 25 kilometers southwest of Danang city center, near the popular tourist site Bana-Nui Chua. 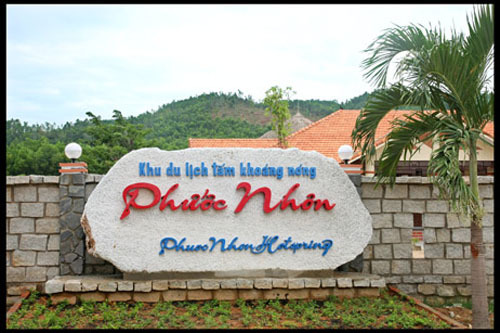 Because of its convenient locations, Phuoc Nhon was a perfect rest place for many travelers who came to relax from theỉ mountain trip. The hot spring is quite near to Ho Coc beach. The whole area is about 50 kilometers from Long Hai beach which can be conquered by motorbike or bus. The mud therapy in Binh Chau is different from other place. After hot mineral bath about 15 minutes, the mud will be mixed with cajeput oil and this mixture will be smeared all over your body. Wait for 30 minutes for the mud to dry, you will get another 15 minute hot mineral bath. This kind of mud bath costs about VND200,000-VND400,000 for one person. Mui Ne mineral mud center is located at number 133, Nguyen Dinh Chieu street, Ham Tien, Mui Ne, on a high hill near Ham Tien tourist area. The place is spacious with a lot of trees and separated from all the bustling of city. With that high level of facilities, the prices for service here are not cheap. 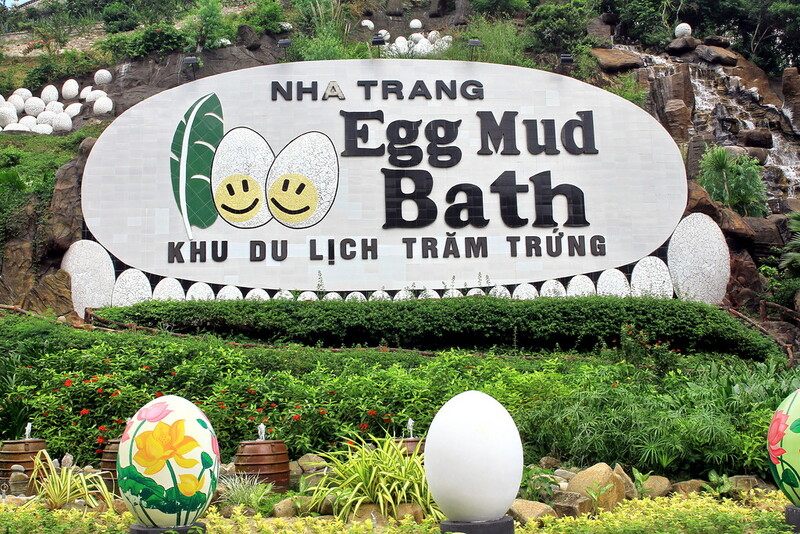 The beautiful eggs, sure to be the mud puddle for tourists, come and enjoy it. I love it. Great!